You get the idea. So, how does this help you? Well, if you know the lyrics to the song and can sing it in your head, you're half-way there to having a mnemonic that someone else created for you and that you've known a lot longer than this password. Excellent is really good for a master password! So, now we have a 14 character password with upper and lower case letters, numbers, and special characters. And, it's going to be easy for me to remember. All I have to do is sing the song in my head. You might prefer to avoid ambiguous characters like l (ell), 1 (one), I (capital i), o (oh), and 0 (zero), but for a password that you created, I don't think this is as much a problem as when using generated passwords. If that's the case, choose another song! That's all for this quick tip. Now, go and create a strong, memorable master password! "I want to update a site to use a stronger password. Can 1Password do this? How?" UPDATE/NOTE: Starting with version 2.6.1, 1Password includes the automatic detection of change password pages! 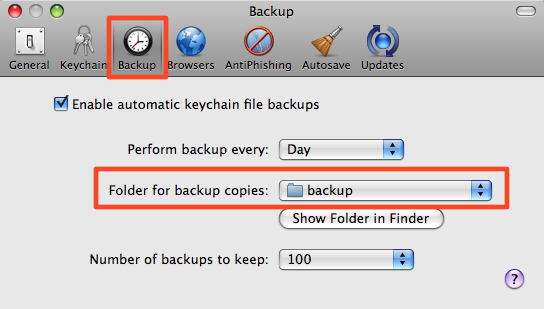 This article is describes a workflow in the older versions of 1Password. The title of this post represents a paraphrase of e-mails that we often receive from users of 1Password who are wondering about the process of changing a weaker password to a stronger secure password. This topic was actually one of the original topics in our original user guide and we have referred people to this article on many occasions. However, since the time it was written we've added some more tools to 1Password that simplify the process and make it easier to do. Therefore, I wanted to expand on the original article and throw a real-world example into the mix. Some of the features I will mention are covered in my previous blog post about "Dealing with Rejection" so check it out if you have not already done so. However, this post presumes no previous reading. Before we get started I do want to point out a couple of points of confusion in this area. First, you still have to follow the web site's normal password change procedure. These can vary greatly from site to site. Next, 1Password will not automatically update any previously saved web forms you may have for the site. You will need to manually update them or use the procedure I am going to use below. Finally, the process is not automated by 1Password so you will still need to do a little work but it is will be very easy as I will show in my example. Face it, no one likes to get rejected, but when you use 1Password's strong password generator to generate a secure cryptic password and the site rejects it for some reason it can be a bit frustrating. Sometimes the password is just fine but that username you picked was already taken. Who knew R2D2Rulez would not be available on the Star Wars message boards? However, 1Password has some features that help you deal with the craziness that is the world wide web when it comes to registering at new sites and saving the login information in 1Password.